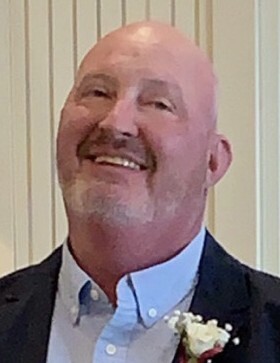 Jan Vincent VanDyke Jr., 47, of Greensburg, died Monday, March 18, 2019, at home, with his family by his side. He was born June 4, 1971, in Jeannette. Jan was a foreman for M. O'Herron Co., of Pittsburgh, and a member of Local 66 Union. He was an avid Harley rider and loved his cats, Boo and Little Man. He was preceded in death by his loving grandparents, Edward and Kathryn Dopkowski. He is survived by his wife of 27 years, Lisa A. Innocenti; daughter, Elizabeth Innocenti; son, Nathaniel Innocenti and fiance, Amber Bush; mother and father-in-law, Patty and David Nowalk, of Greensburg; brother-in-law, Lodovico Innocenti (Joni), of McDonald, and their children, Vico, Noah and Ethan; sister-in-law, Dana Nowalk, of Greensburg; his mother, Theresa Dopkowski Thorton, of Florida; sister, Dawn VanDyke, of Florida; brother, John VanDyke, of West Newton; aunts, Barb Rager (Michael), Shirley Cole (Ed) and Patty Bartlow (Tim); uncle, Ted Dopkowski; and many nieces, nephews and cousins. Relatives and friends are invited to celebrate the life of Jan from 4 to 8 p.m. Thursday in the CLEMENT L. PANTALONE FUNERAL HOME INC., 409 W. Pittsburgh St., Greensburg, PA 15601, 724-837-0020. A funeral Mass will be celebrated at 1 p.m. Friday in St. Mary's Church, 10 St. Mary's Lane, Cecil. Everyone please go directly to the church. Interment will follow in St. Mary Cemetery, Cecil. In lieu of flowers, memorial donations may be made to the Glioblastoma Foundation, PO Box 62066, Durham, NC 27715, www.glioblastomafoundation.org. Jan's family has entrusted his care to the Pantalone Funeral Home Inc., Greensburg. To share your memories and photos, offer your condolences or for directions, please visit us at www.pantalone.com. Natale N. Pantalone, supervisor.